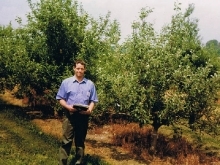 McGrath Nurseries Ltd specializes in producing fruit trees. We grow trees of apple, apricot, cherry, nectarine, peach, pear and plum and supply trees to every growing district of New Zealand. 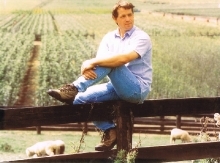 Andy McGrath’s passion for plants combined with the need for high quality fruit trees and variety improvement in New Zealand led to the creation of his first nursery on 1 ha of leased ground in the Waikato District. 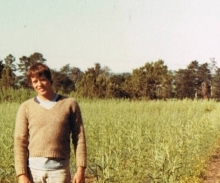 After obtaining a science degree from Massey University, Andy worked at DSIR and then as a horticultural consultant. His work as a consultant gave him experience in large scale development and highlighted the need for high quality trees and variety improvement. 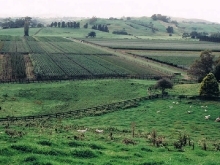 McGrath Nurseries was established at Karapiro, near the Waikato River, on a 27 hectare block which was purchased for its soil quality and special microclimate. The first apple stool beds were planted at this site. 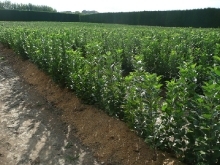 McGrath Nurseries Ltd has expanded throughout the years to a current 160 ha as the nursery production has increased and to ensure the production of the highest quality trees from virgin soil. A further 23 ha was purchased to expand the nursery and ensure the production of the highest quality trees from virgin soil. 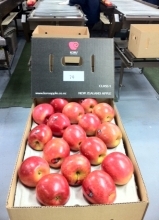 McGrath Nurseries introduced the Sunrise apple for the domestic market, the first non apple and pear board controlled apple imported and developed in New Zealand since the establishment of PVR, and very innovative for this time. Prior to this, both the domestic and export apple markets were regulated by a single desk. Sunrise was tested with a group of growers and developed with controlled volume. Over twenty years after its release, this apple still creates very high returns for growers. 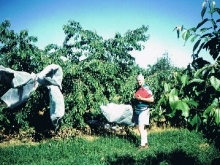 McGrath Nurseries began to import improved cherry varieties into New Zealand, becoming the dominant cherry nursery in New Zealand. The passion for innovation and improvement continues as new varieties are imported and evaluated. 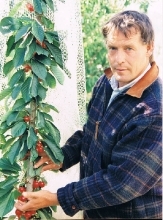 Varieties such as Sweetheart®, Staccato®, Regina®, Kordia®, Earlise®, Bigalise®, Santina® and Romance® now form the backbone of the modern cherry industry in New Zealand. A number of new M9 clones were imported for testing. Two have been commercialized. 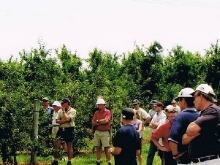 McGrath Nurseries Ltd commercialized the Gilmac apple as a controlled variety, a leading concept in the 1990’s, and New Zealand’s first production based royalty apple. This apple still obtains a 25% premium making growers solid returns. 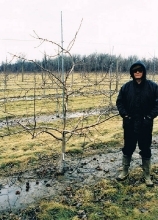 Description: Jim Cummins, Breeder of 202 beside one of the first trees on G 202 rootstock. 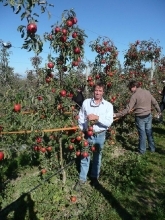 McGrath Nurseries is granted the co-licensee for CG rootstock in New Zealand as the search for new dwarfing, high yield efficiency, and resistant apple rootstocks began in earnest. 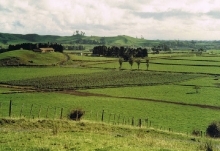 A further 20 Ha were purchased in the Karapiro as nursery operations continued to expand. Another key license is signed as McGrath Nurseries Ltd are appointed as exclusive licensee for Cornell stone fruit in New Zealand. Photo: Bob Andersen, Stone fruit breeder at Cornell University. 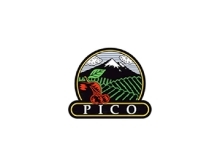 McGrath Nurseries were appointed the exclusive licensee for the PICO/PARC cherry breeding program, cementing their position as the leading cherry tree nursery in New Zealand. 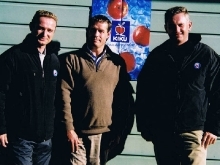 McGrath Nurseries Ltd started the introduction and development of the KIKU® brand apple in New Zealand. 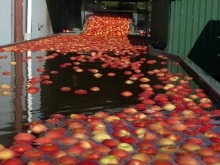 This project included variety importation, all contracts and commercial systems and the establishment of the exporter network and KIKU® New Zealand Ltd.
McGrath Nurseries Ltd began the evaluation of Honeycrisp apple with a view to it becoming a controlled variety in New Zealand. This evaluation included several trips to the US for evaluation, a testing phase in New Zealand, technical evaluation, identification of key factors in production, fruit assessment and problem solving. 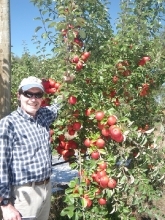 Photo: David Bedford, apple breeder for University of Minnesota in New Zealand honeycrisp orchard. Giving them a rootstock that is highly efficient and resistant to WAA, Phytophora, fireblight.. 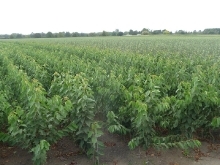 This rootstock is environmentally desirable, reducing chemical applications and decreases grower costs. G202 was the first Geneva® release. The commercial license is shared with Waimea Nurseries. McGrath Nurseries purchased 60 hectares North of Cambridge expanding the nursery to a total area of 129 hectares and relocating the office to this site. 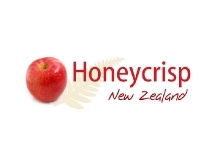 Honeycrisp New Zealand Limited team was formed, a new concept for exportation of apples from New Zealand. The Honeycrisp concept is focused on super high quality controlled production, direct market linkages, and an innovative new model for exporting to give high grower return and providing a return to all stakeholders in the variety. 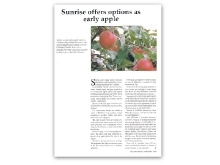 McGrath Nurseries Ltd were chosen by ENZA to be the lead propagators for their new apple Envy™. This involved the re-evaluation of technical aspects of the plant material, bulk up of the variety and coordination and commercial release of the trees via McGrath Nurseries and others. McGrath Nurseries Ltd were chosen as the variety developers and project leaders for Plumac c.v. apple and the developers for KORU® as a worldwide brand. This New Zealand chance seedling was discovered by Geoff Plunkett in Motueka. The project has involved the coordination of field testing, scientific evaluation, trial production, market testing and development of commercial networks, trade marking and protection of this variety worldwide. 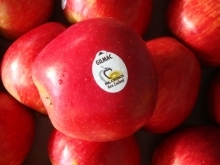 Plumac c.v. KORU® apples are destined to become a significant world variety. 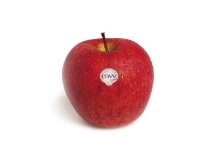 KORU® plumac c.v. is well on the way to becoming a significant world apple as it receives consumer acceptance throughout the world and returning premium prices to the grower. The trademark is registered in over 25 countries, the US plant patent is granted and UPOV protection continues. Description: The passion for improvement through innovation continues as McGrath Nurseries Ltd moves into it’s fourth decade. 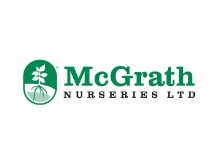 McGrath Nurseries Ltd is dedicated to serving our clients by providing the highest quality fruit trees and by continually seeking improvements through the development of new varieties, technology and processes. We have achieved and continue to strive to enhance the competitiveness of the New Zealand fruit industry while at all times maintaining our high standards of honesty, integrity and reliability. Since our inception in 1989 we have seen and been involved with startling changes in fruit tree growing , fruit varieties and fruit growing. better service to our clients.